A church greeter I never met invaded my personal space. An apathetic church greeter gave me a bulletin while talking to a friend. Here is a quick reference list on some of the most popular articles on Welcome Ministry on my website. 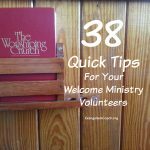 You’ll find greeter tips, welcome vision, and some stories that you can send to your hospitality ministry volunteers. Many of you send a weekly reminder email to your volunteers. Consider including one of these links as a devotional thought. This story shows in real life what well done welcome ministry looks like. Church hospitality ministry is never done. There is no end. There is no finish. 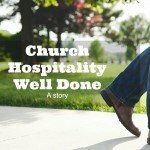 Church hospitality ministry can only be done well – as in individual experiences and examples. I want to you to listen to this story to see what “done well” looks like. In our family’s current journey of looking for a church, we empathize anew with Christian families that are new movers and have to find a new church on their own. I am re-discovering is the value of small talk when engaging your first time visitor. 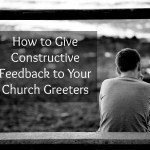 (Read these 20 Crazy Church Greeter Comments). In the summer of 2014, our family moved to central Florida due to an expansion of our ministry’s vision and reach. We are new movers into the community. We have no friends yet. We are a blank slate looking for a church. We are the first time visitor. 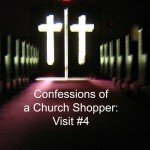 We are the church shopper. If you are a new leader in your church’s hospitality or welcome ministry, register for this online class to help you get started in preparing for the upcoming season of welcome. 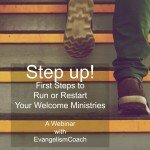 Re-launch your hospitality ministry for the next season of growth. you may not know where to begin.